The German carmaker Volkswagen’s new Jetta reportedly set to make its global debut in January 2018. The new Jetta based on the modular MQB platform of the company will unveiled at North American International Auto Show in Detroit in January next year, reports AutocarIndia citing VW North America CEO Hinrich Woebcken. The new Jetta, which isin for a complete makeover has also spied in fully revealed avatar recently, revealing the changes in the model. 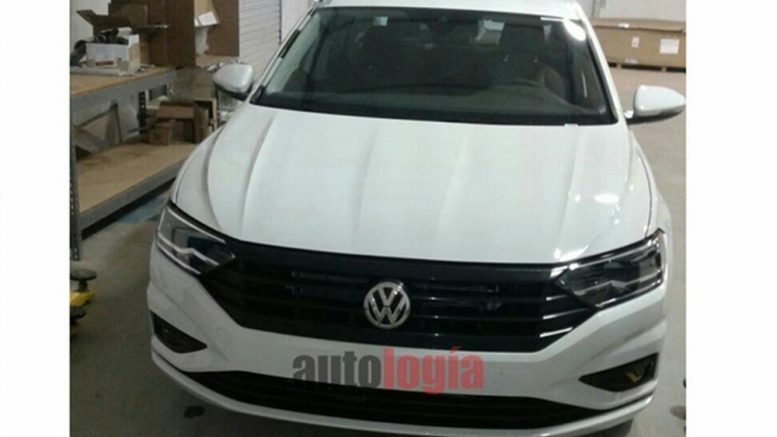 From the images shared by Autoblog.com that are doing the rounds on the web, it seems to have got front-end design in line with VW’s new Artreon sedan. The Jetta now shows hexagonal grille, extending to the headlights while the rear gets wraparound LED tail lights and dual exhaust. The Jetta seems to have gone longer in its new avatar. The new Jetta likely to get refreshed interiors with upmarket features. Under the hood, it expected to include 1.5-litre turbo-petrol motor, a 2.0-litre turbo-petrol and 2.0-litre diesel engine in the global market. The current engine line-up of the Jetta includes 1.4-litre turbo-petrol and a 2.0-litre diesel engine paired with either a 6-speed manual or 6-speed DSG dual-clutch automatic transmission. It remains to seen if the new Jetta will make it to the Indian market. The current one sold in India is in its sixth-generation and is available with 1.4-litre, turbo-petrol and 2.0-litre, turbo-diesel engines. Be the first to comment on "Next-gen Volkswagen Jetta to be unveiled at 2018 Detroit auto show"